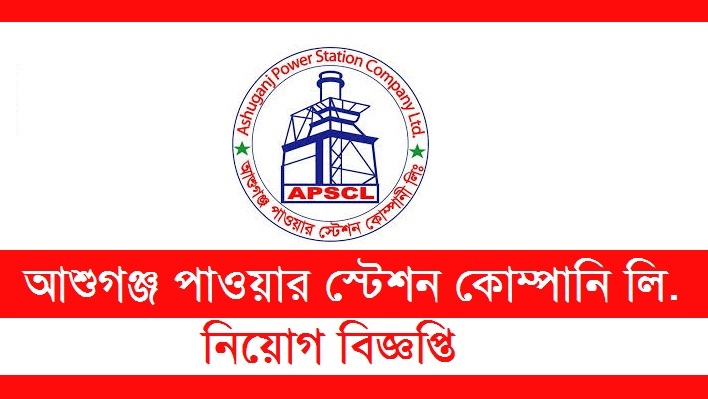 Ashuganj Power Station Company Ltd ( APSCL ) Job Circular 2019. APSCL circular has created an opportunity for the job seekers. This is a power sector job. If you think you are qualified for the job, then don’t forget to apply before the deadline. APSCL Job Circular 2019. This government owned power company is a large power plant in Bangladesh. Ashuganj Power Station is located near to the Titas Gas field and at the bank of river Meghna, Bangladesh. It consists of 1627 megawatt units. [ An agreement was signed in 1966 with a foreign construction company to establish a Thermal Power Plant in Ashuganj. It is owned and operated by Ashuganj Power Station Company Ltd.- wikipedia. 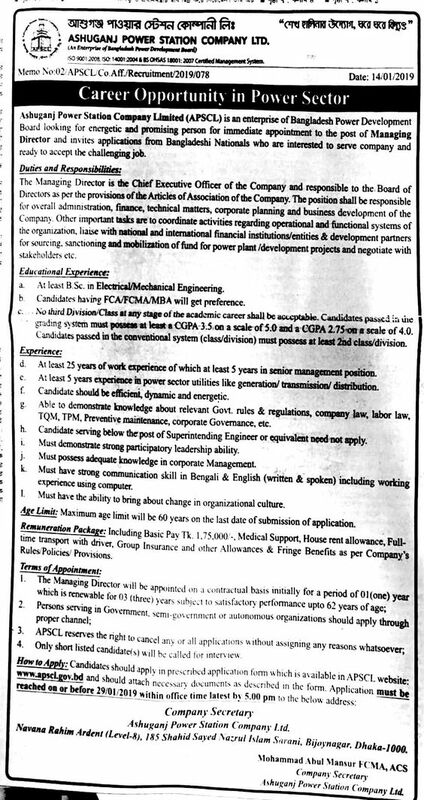 Organization: Ashuganj Power Station Company Ltd (APSCL) . Age Limit: see the image file. Many job seekers along with APSCL Job Circular also find other job circulars like- TMSS Job Circular 2019, BRAC Bank job circular 2019- Career, Civil Aviation Authority of Bangladesh (CAAB) Jobs Circular 2019, National Human Rights Commission Job Circular, Bangladesh Road Transport Corporation (BRTC) Job Circular 2019.